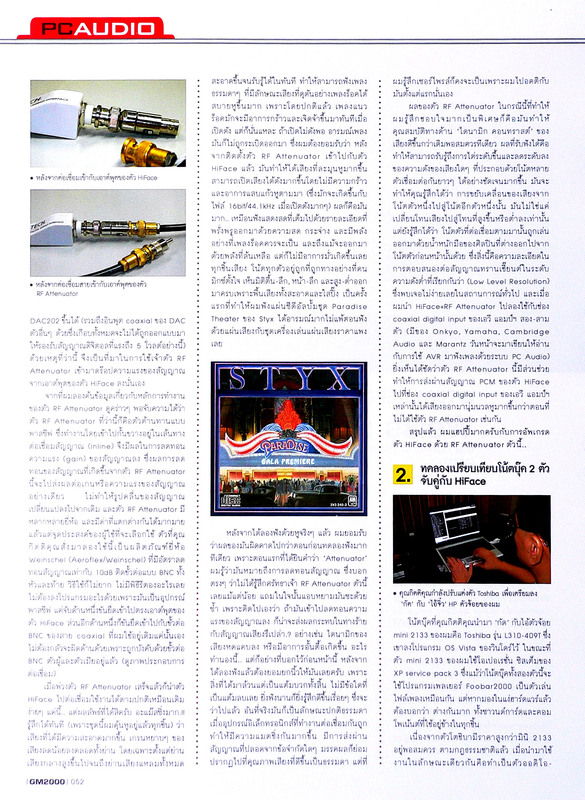 Thank you GM2000 Chief Editor Thanee Modsa-nga for written this excellent 2 parts detail review! 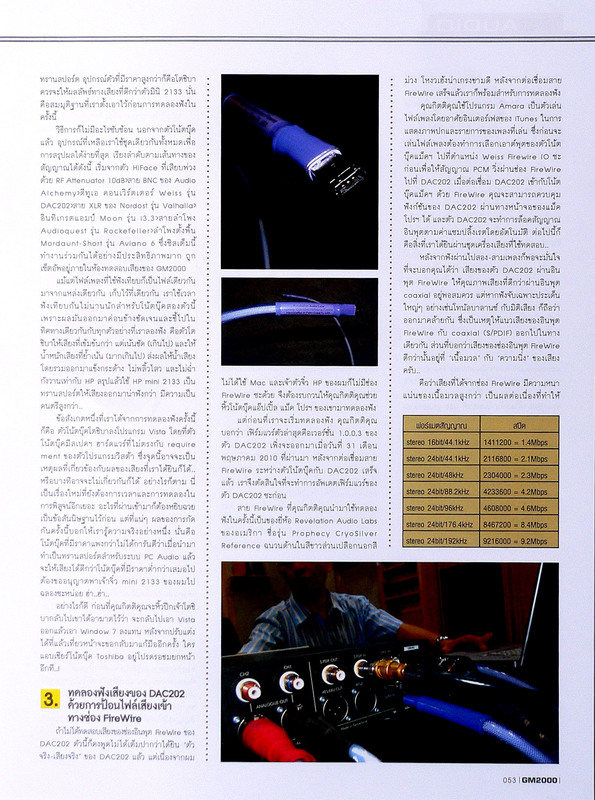 Part: II: Thanee compared using a HiFace USB to Coaxial connection and the Weiss internal firewire connection with internal master clock. He likes the firewire connection much more and describe it as “…. 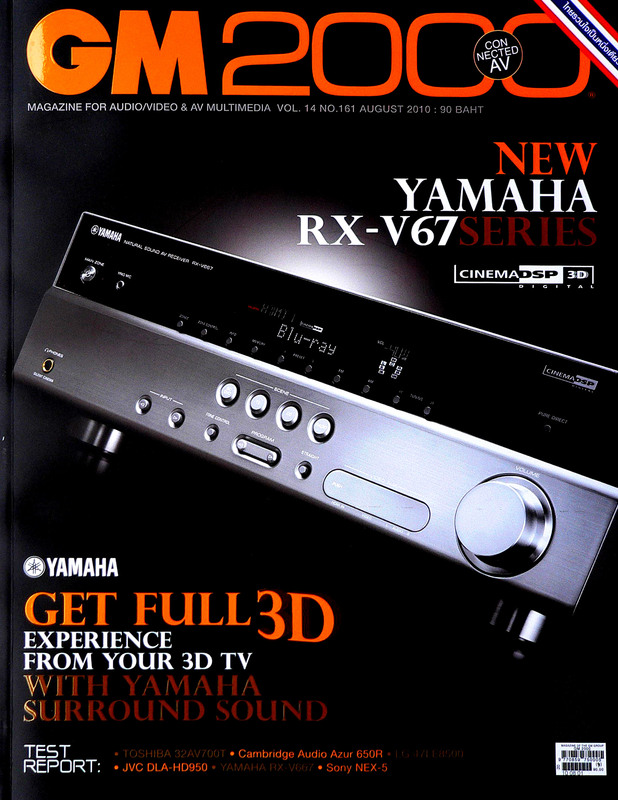 The sound from firewire port is smoother, fuller and more condense as you watch high def 1080p compares to 720p….”. He also shares experiences to use both PC and Mac platforms, which are both supported by Weiss. 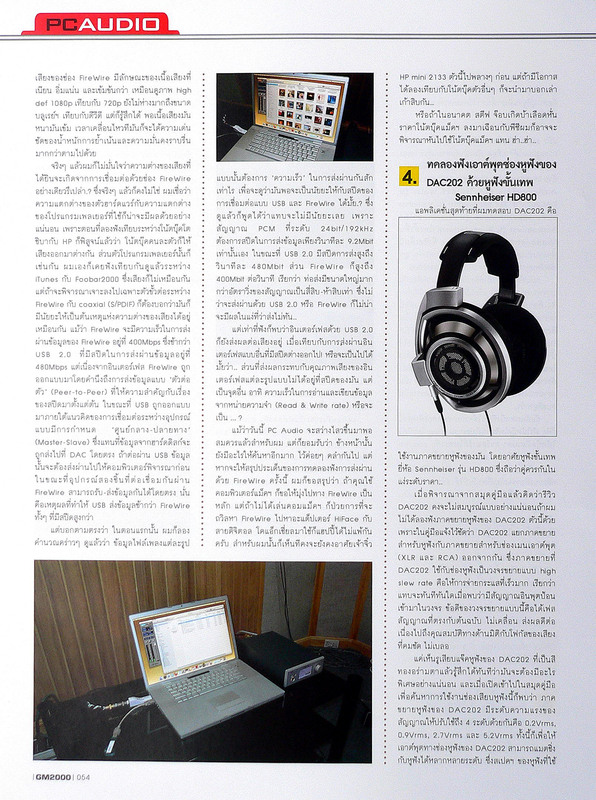 Everyone who knows Weiss background in professional recording market will be interested the quality of headphone monitoring. 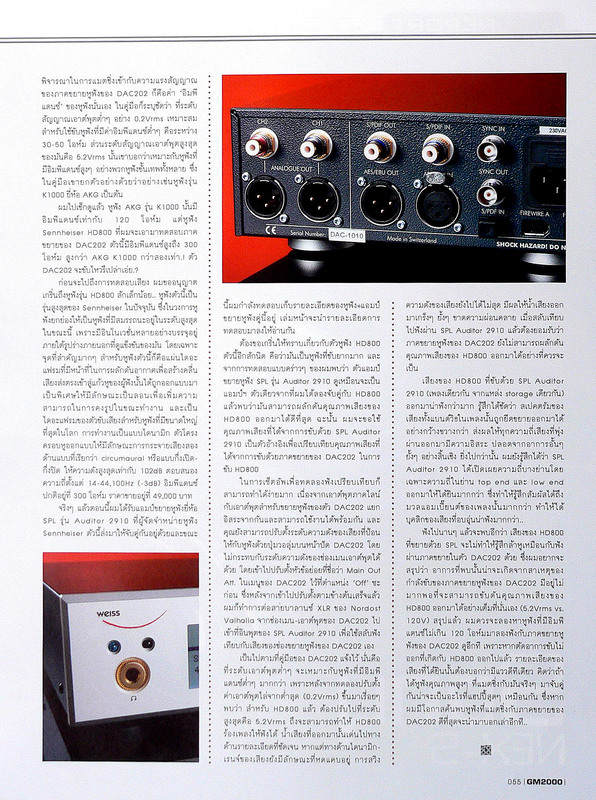 Modsagna uses a Sennheise HD800 as reference. 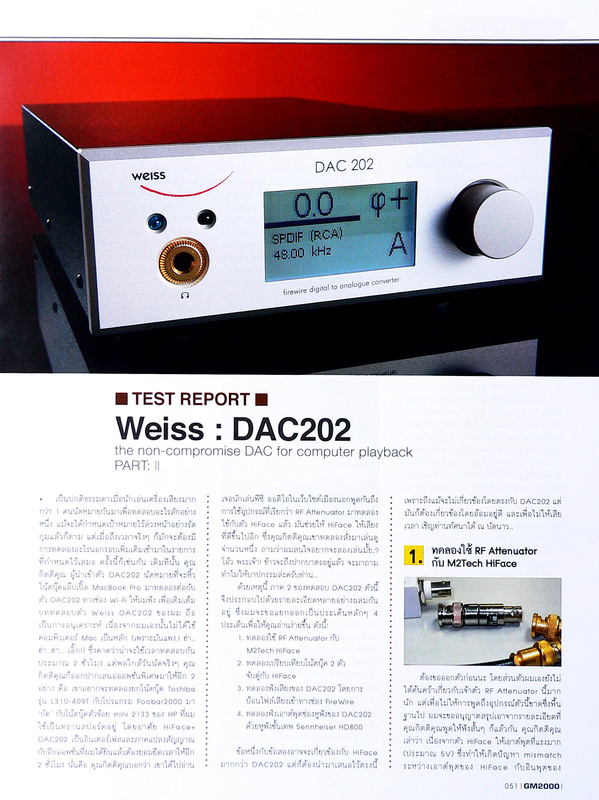 Once again thank you Thanee Modsagna for an unusual Part: I & Part: II reviews on GM2000 magazine, and great to have you as a Weiss DAC202 happy user.